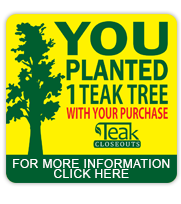 Teak Closeouts - Real Savings on Real Teak. The economy is tough and watching our dollar is more important than ever. You'll find $179 teak benches, $139 teak arm chairs, and teak tables starting at $499. If you're looking for a durable, quality folding chair, nothing beats the $49 teak folding chair. Teak Closeouts has some of the lowest teak furniture prices on the internet. Williamsburg Teak Oval Dining Table - 240cm x 180cm V2 S2DIO Teak Table #0051 - 220x99 - 87" x 39"
Winter is here.... - This year we have our biggest selection of teak furniture to-date. We have a good selection of our popular selling Lutyen benches - including some commercial Lutyen's with thicker teak frames. Our teak table selection is fantastic, with many one-of-a-kind unique tables and a nice selection of reclaimed teak tables. Teak Closeouts 'really' sells discontinued and closeout teak furniture items. Our prices are discounted according to the original selling price - remember furniture is not unlike cars. Some teak furniture looks the same, but quality and features dictate a final selling price. We encourage anyone interested in buying teak to 'shop around'. 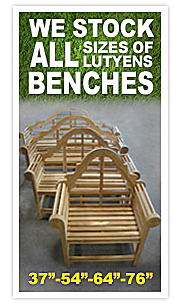 It's our position we have the lowest price on teak benches and teak arm chairs in the USA. Most of our teak arm chairs and teak benches are marked 40-50% off their actual selling price. In fact, our arm chairs are marked more than 50% off. We have a handy shipping time estimator in the lower left-hand margin. 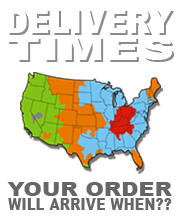 We offer fast shipping as our teak furniture is in-stock and ready to ship immediately. New teak furniture will be arriving throughout the year.....so we encourage visitors to bookmark the site and check back. Teak is an excellent choice for your outdoor furniture needs. And if you have a question, simply ask. Below this text are several videos. The videos highlight weathered teak benches, teak chairs, and help the customer visualize what they can expect from their new teak furniture.